You can now support Grayshott Village Hall by shopping with Amazon. Simply click here to be directed to Amazon Smile with Grayshott Village Hall selected as your charity and start shopping. If you use Amazon Smile, every time you shop with Amazon, Grayshott Village Hall will benefit. It does not cost you any extra. 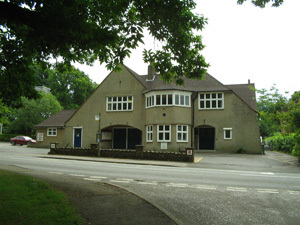 A large number of clubs, societies and groups meet regularly in the village halls offering a diverse range of activities for members of the community and surrounding areas. The Village Hall provides a flexible and friendly venue, with a variety of halls and rooms available for hire, either individually or in conjunction with each other. There is a private car park with 4 disabled parking bays as well as parking for a further 40 vehicles. The halls are fully licensed for the sale of alcohol and entertainments, and they are equipped with extensive catering facilities. The halls are ideal for large functions such as weddings, conferences, fund raisers, birthday parties, meetings, exhibitions, theatrical & musical performances, film shows, lectures & seminars, as well as sports activities such as badminton.